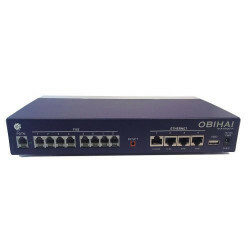 The Obihai OBi300 is a Service Provider quality, 1 port Analog Telephone Adapter (ATA) which allows you to use your existing analog phones or fax machines to make calls using the internet The OBi300 will work with most SIP-based Internet Service Providers (ISP) and is available with Zero Touch customization with a small minimum order quantity. The OBihai OBi508vs is a 8 FXS analog gateway for use with regular phones, faxes and legacy systems. 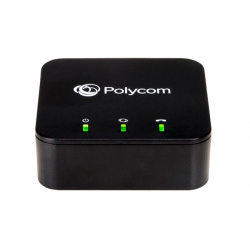 The OBi508vs also includes one gigabit ethernet port.